TRON Electric, operating in the GTA since 1972, is a midsized family owned and operated business. TRON Electric was originally established by Loreto Gildo Cerasuolo who has built an impeccable reputation within the Electrical Contracting Industry based on quality and customer service. Gildo handed over the reins to his son Joseph Cerasuolo who continues to serve the same Loyal Customers that his father once served. Joseph continues to run the business with the same integrity, quality and customer service our customers have come to expect from us. Joseph continuously strives for excellence by educating himself, his staff and our clients on the latest technology in electrical and lighting control solutions so that Homeowners will enjoy their home and energy savings for years to come. 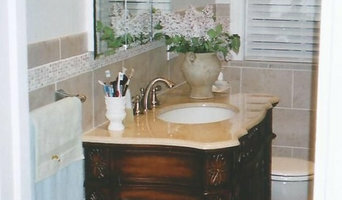 Steve's Jobs offers a range of repair, small to mid-scale renovation and redecorating services. We are bonded, insured, and will provide you with a complete background check. Call us today to discuss your project needs. No job is too small -- but the small details will make a big difference. EXPERT ELECTRICIANS! Mr. Electric of GTA West is the Toronto area’s most trusted electrician that is proud to be locally owned and operated. We specialize in residential electrical service and repair. Whatever the job, large or small, Mr. Electric of GTA West is standing by to meet your needs and exceed your expectations. PROFESSIONAL, SKILLED & TRAINED ELECTRICIANS! Not only are our expert electricians skilled & professionally trained, but we put customer service as our top priority. Got an electrical installation, let us handle it! We make the whole thing easy for you! If you're in need of an electrician, there is no one better to call... call Mr. Electric of GTA West today! Our customers love us not only for our knowledge and expertise, but also for our quick, on-time service, and our top-notch level of service. We take great strides to insure that each and every customer is completely satisfied with the Mr. Electric service from start to finish in each regard of their electrical service. Gord's Electric is a sole proprietorship electrical contracting business headed by a Master Electrician. Gord's has been specializing in residential renovations, troubleshooting, repair, consultation, installation, & wiring defect (code) corrections. 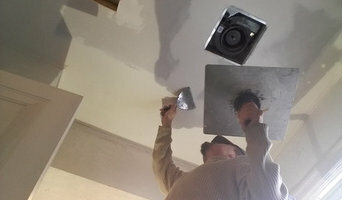 Enjoy the services of a licensed master electrician who is dedicated to ensuring that you have no problems with your electrical connections or appliances. For the last 13 years, we have been offering our services in Vaughan and the neighboring regions and our clients have been very pleased with our work and we are very confident that you will very happy with our service. Let us take care of all your electrical installation and repair projects and notice the difference in the quality of the service we have for you. 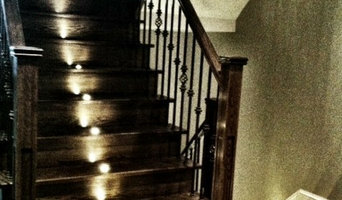 Known simply as 3e, we are a boutique electrical contractor in Toronto, Ontario. We provide our service to home owners, general contractors, and organizations. Our company has a unique skillset in Architecture, Engineering, and Construction. We are a family-run business based out of Toronto that caters to home owners and their property improvements. We want to help you save time for the things you love. Call Tool Time Handyman Services. Get the job done right the first time and scratch things off your Checklist. We want to bring the vision of your dream home come to life. We understand that your home maintenance to-do list can start to add up quickly, or how overwhelming your home decor projects can get, Our experienced handymen are here to help and save you time. We are a family owned and operated general contractor. We pride ourselves on open communication with our clients to ensure the job gets done right the first time. We offer general contracting services as well as handyman services in the Durham Region. Professional electrician dedicated to providing comprehensive and efficient service in a timely manner.No job too small! Our commitment is that every one of our handymen is a trained industry professional who has worked years in the home-building and renovation industries. Handyman Oakville was formed by a group of seasoned construction and renovation professionals, who realized that the handyman industry is a swamp of sometimes dangerously inexperienced labour.